The Kylie Jenner Travis Scott relationship clue hidden in Chrissie presents. 1. The clue about Kylie Jenner’s relationship status hidden in her Christmas present labels. Earlier this week, cheating rumours once again rocked the Kardashian-Jenner clan. 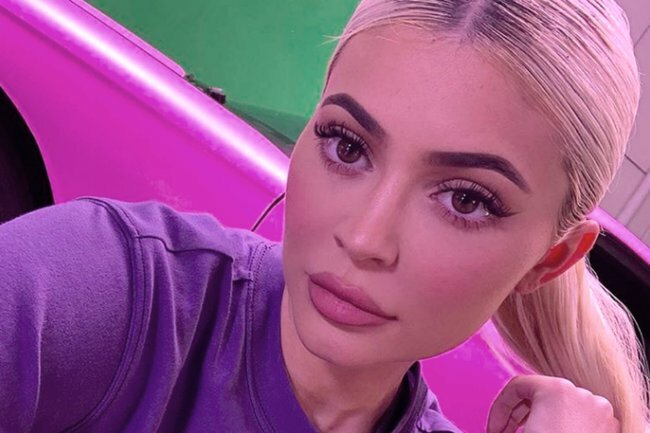 This time, it was surrounding Travis Scott, Kylie Jenner’s rapper boyfriend, and father of her daughter Stormi Webster. After an Instagram photo of a man with very similar hair to Travis getting cosy with another woman triggered a social media and TMZ-fuelled frenzy, Jenner has shared a clue to her relationship status hidden in her Christmas presents. On her Instagram stories, the 21-year-old shared footage of presents under her elaborate gold Christmas tree labelled ‘wifey’ and ‘daddy’, which are the nicknames the couple refer to each other as, the Daily Mail report. Well, case closed. Guess Kylie and Travis are still together. Maybe. Stay tuned. 2. Kyle Sandilands stepped into a grocery store for the first time in 20 years and could not believe what he saw. That’s KIIS FM host Kyle Sandilands walking into a supermarket for the first time in two decades. Recounting the event on The Kyle and Jackie O Show, the 47-year-old (who reportedly earns more than $4 million a year) explained that he wandered into the local Woolworths in search of his partner, Imogen Anthony, who’d ducked in to pick up some supplies. Inside, Kyle marvelled at the plentiful gastronomical offerings of a modern-day supermarket as if he’d just emerged from a doomsday bunker. He was particularly impressed with cereal. “I was getting excited about the different meat products and when I hit the cereal aisle I nearly had a heart attack,” Kyle said. “There’s so much variety! 3. Kate Middleton says Prince William has one ‘nightmare’ personal habit. Every now and then, a future King makes a terribly male mistake. And who would know better than Kate Middleton herself? In a recent visit to Cyprus, the Duke and Duchess of Cambridge opened the Oasis recreation centre. Upon spotting some very bright yellow couches, Prince William made a joke about keeping pizza off them. Seemingly random, Kate Middleton clarified “You’re a nightmare with that!” and what now?! Why does a prince put pizza on couches?! Does he leave it on a plate on the couch? Or does he just chuck a greasy slice of pizza bare on the fabric? 4. 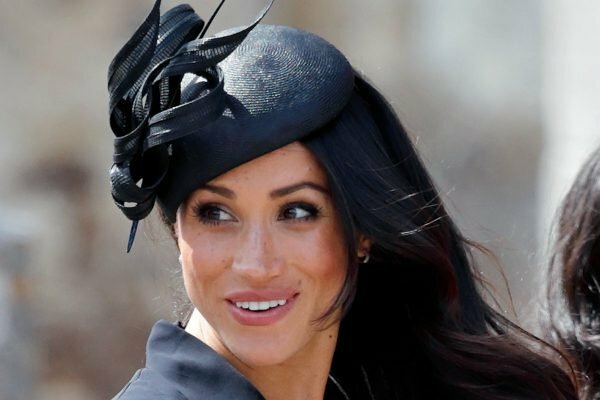 A Meghan Markle musical is airing and here’s where you can watch it. Oh. They are singing about me. Image: Getty. You know you&apos;re hot property when you have your own musical. 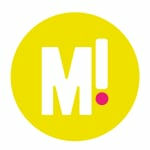 In fact, we are not aware of anyone who has an entire musical dedicated to them. Except, of course, Meghan Markle. BBC have announced that they will be releasing a short, light-hearted musical exploring the life of the Duchess of Sussex, from her childhood to now. The 15 minute“Rodgers and Hammerstein” style musical will play on BBC Radio Four on New Year&apos;s Day, and British actress Pippa Evans will star as the Duchess. It&apos;s unlikely the musical will cover her dramatic family back home. And her first marriage. We are hoping for many musical quips about the hard-knock life of the very stylish Duchess and her baby to be. Catch it on BBC Radio Four in 2019. 5. 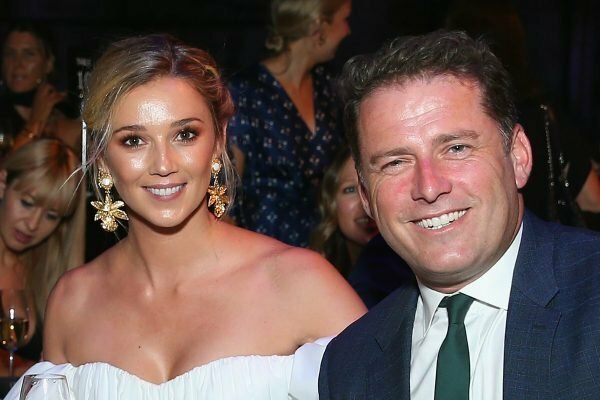 The story behind Karl Stefanovic and Jasmine Yarbrough&apos;s quirky new wedding hashtag. As we speak, Karl Stefanovic and Jamine Yarbrough are celebrating the beginning of their three-day wedding extravaganza in San Jòse del Cabo, Mexico. Not much has surfaced on social media yet from the wedding taking place at the One&Only Palmilla Resort where the couple have reportedly booked two villas costing approximately $11,600 and $15,000 per night. But the very few images we have seen include the wedding hashtag #letsgetfizzykarl. According to the Daily Telegraph, the story behind the quirky hashtag has less to do with Stefanovic and everything to do with his bride. The article states #letsgetfizzykarl is a reference to Jassy Fizzle, the nickname Yarbrough’s friends gave her when she was living in LA running her shoe label Mara&Mine. Nicknames come from the strangest of places, we’re betting this one came from a night out when, perhaps, Yarbrough cut some shapes on the dance floor to Ciara’s song 1, 2 Step, which features the lyrics, ‘Jazze Phizzle, Productshizzle’. For all the photos we have so far from Karl and Jasmine&apos;s wedding, read the full story here.